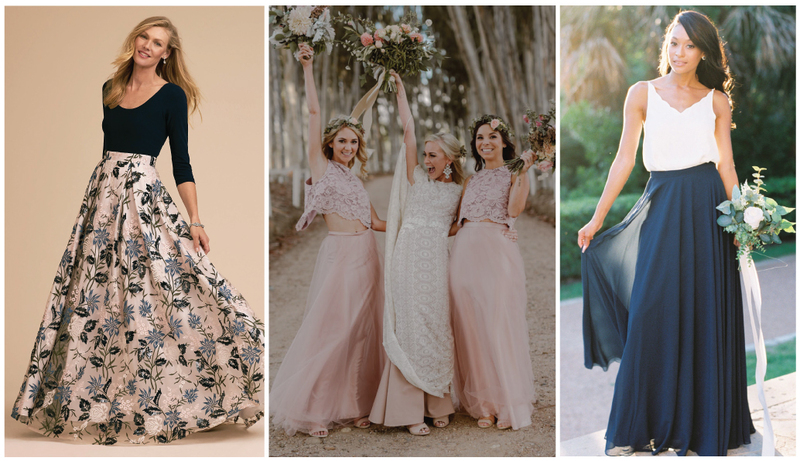 Finding the perfect bridesmaids dresses can sometimes be difficult, but look at our top 5 favourite trends for bridesmaid’s dresses. Your bride tribe is a very important part of your wedding day theme, so make sure they complement your bridal elegance. 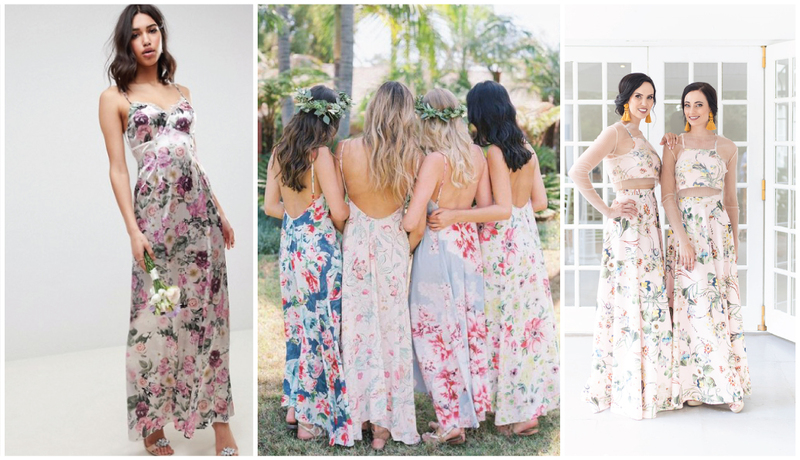 Two-piece dresses are all the rage right now so why not get your bridesmaids involved in this trend? Whether you are using solid colours, prints or mix and match, this trend is most definitely one not to miss. Not convinced this will work? With different shape and size bridesmaids this trend can still be rocked if you swop out the crop top for a body suit or make sure the top hangs over the skirt. There is so many ways to wear this trend plus an added bonus is your bridesmaids can wear the separate garments again after the wedding day. This is a great alternative outfit your squad can wear on your big day. 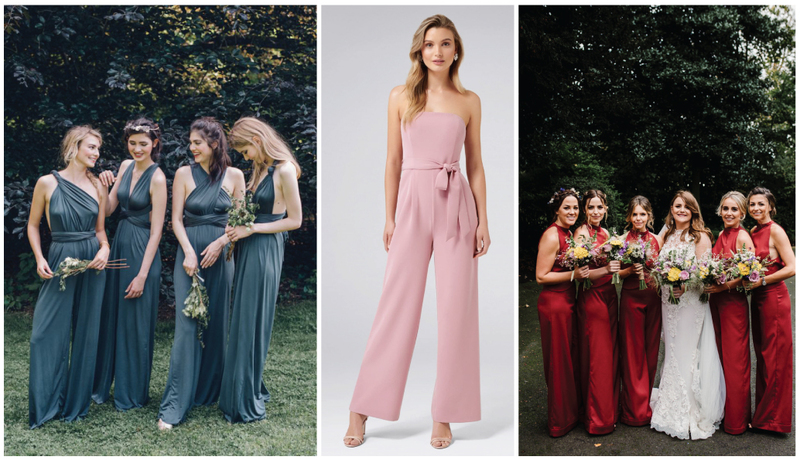 This is one of the biggest bridesmaid’s trends evolving and the best that it is so comfortable yet feminine. Rompers come in different styles however this look is leaning towards the wide leg and waist tie up details. The cat walks during Spring 2018 were flooded with this trend and is inspired by Flamenco frills and ruffled silhouettes. 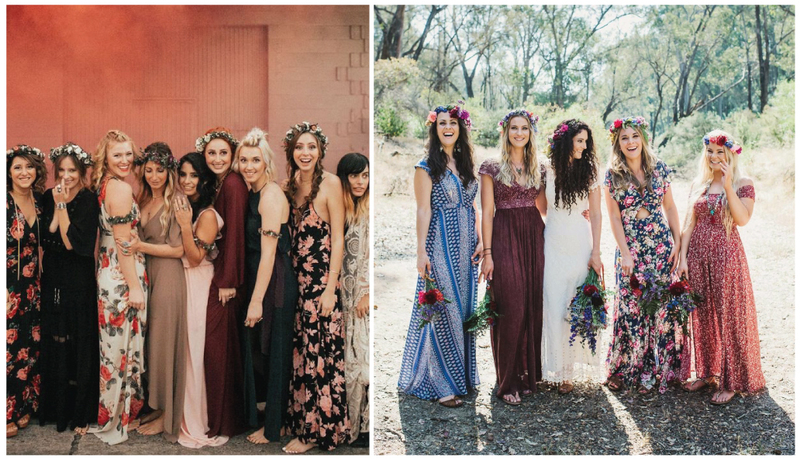 Whether you have a Boho chic wedding or an extravagant yet sophisticated wedding, this trend just always looks flawless! This idea is not only great for a budget wedding but has become a big trend during 2018. We love how you can play around with colours or prints and give your wedding that carefree feel. 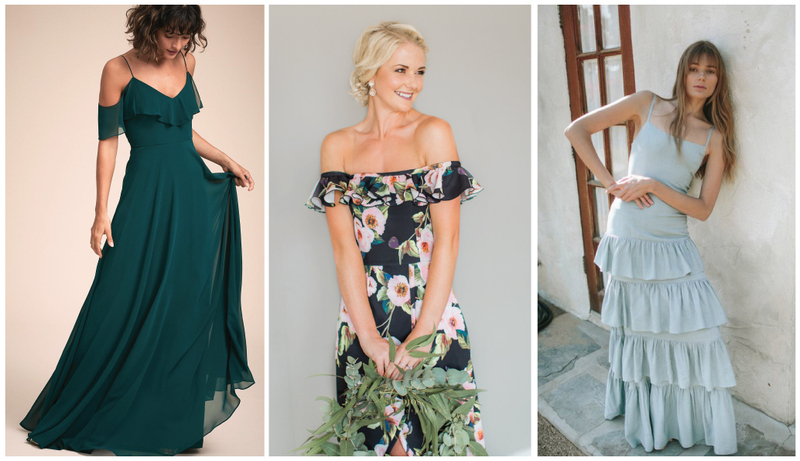 Another way to apply this trend is to use the same fabric for each bridesmaids dress but different kinds of silhouette to match each bridesmaid’s body shape.